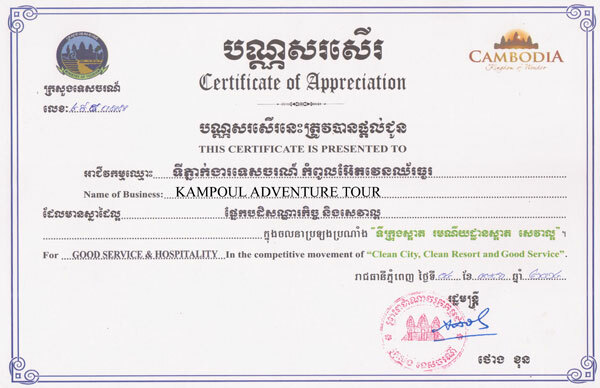 Mr.Phav Proeun is the Founder and Managing Director of Kampoul Adventure Tour. He was born in Pouk district, in the Siem Reap vicinity. He attended school in Siem Reap, and eventually, and graduated in nursing at the Nursing University of Battambong. His further studies lead him to a master degree of Tourism and Business Management Administration at the South East Asia University in Siem Reap. Mr Phav Proeun is fluent in Cambodian and English, and conversant in French. Furthermore, Mr Proeun, through his Kampoul Adventure Tour, supports the community's social work that helps disadvantaged children from in the poorest rural villages of the Siem Reap region on their survival needs and to attend schooling.